This very professional website features an online, visual resume. 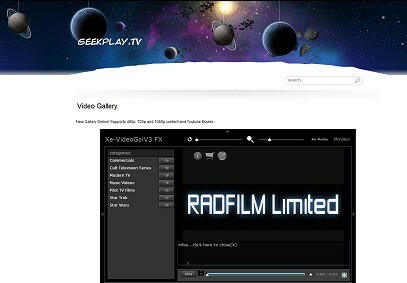 This is an example of one of the main types of websites offered by Radvisions. With this type of format you can have a very interactive, online portfolio of your background and work experience. This can include sections about your education, courses taken, and of any work history you would like to include. Other information including your other skills, recommendations, resumes for download, contact information, and so on can all be included in one attractive and simple to view site. The page can be customized with the exact text, information, images, and even video or audio of your choice. Aftet it is ready, you can direct potential employers to this site to learn more about you in a new, exciting, and innovative way. This will help make you stand out from the rest who just use an old-fashioned, simple paper resume when applying for jobs. A very simple, and elegant gallery website can be setup for your photographs, artwork, or any other images you would like to share with the world online. 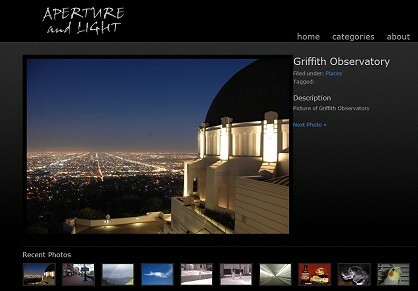 Your own personal gallery site can showcase your talent and work to your friends, family and others. You will easily be able to update the site with new images as you desire and whenever you would like. Various looks and templates can be used, this is just one example of a website that was created by us for a photographer. Your images will be safe & secure, and once the site is in place you can direct people there to see your beautiful images any time they would like. The first full-featured site we owned and built from the ground up. 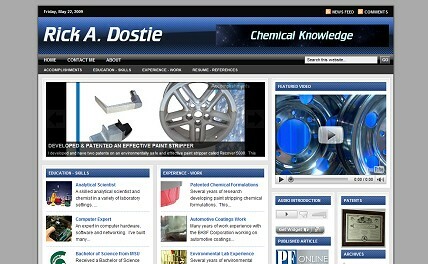 This website features a detailed main page blog area, including video as well as images and other details. 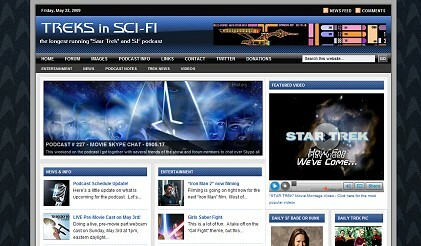 The site also features a forum, gallery, and podcast hosting area for the “Treks in Sci-Fi” weekly podcast (since 2005). The site is updated regularly and gets thousands of visits per month. It is a robust website with many interesting features and elements and it is updated easily with new content often. Are you a budding web cartoonist? Well, here’s an easy to get started to be able to post your cool comics up on the internet for the world to see. Various templates can be used, depending on the size of your comic and everything can be adjusted to suit your needs. Once the site is setup, it will be very easy for you to post up new comics and it can even be setup to post them automatically when you want, once you upload your comic image files. The usual tweaks and contact information can be added as well as having the ability to put up blog posts, comments and interact with your readers. A fun, and inexpensive way to get on to the world wide web and show off your stuff!